Don’t you mean secession? 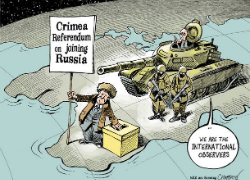 The only thing Crimea succeeded in was their effort to secede. Thanks for letting us know about the typo. This post has now been updated.